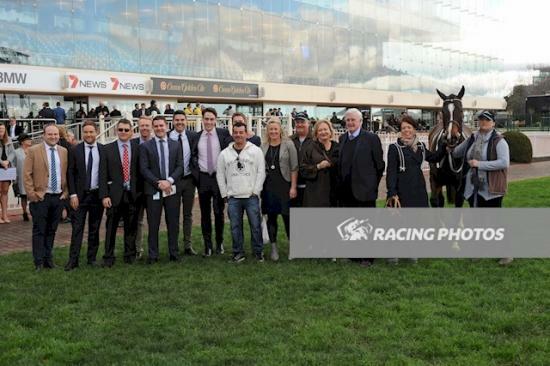 Lang Lang trainer Allison Sheehan boutique stable has had another great season, culminating with the win of stable star Andrassy at Caulfield last Saturday. Andrassy with Dwayne Dunn aboard, led from start to finish in the Debra Coombs 1200 metre Open Mares Handicap. The now five-year-old daughter of Sharkbite and Pride of Ardrossan is building an impressive record, with six wins from seventeen starts, and prizemoney of $171,590. Allison Sheehan, who works her team (currently eight) at the Cranbourne Racing Centre, finished the 2015-2016 racing season with an impressive eleven winners and twelve placings, from only forty-six runners, with a strike rate the envy of stables small and large.